Professionals aiming for a top financial position have more than one possible career track ahead of them. Alongside the chief financial officer role is the financial controller, an individual with final sign-off authority over many of a company’s most important priorities, from regulatory compliance to budgeting and planning. Studying the responsibilities of this profession as well as the prospects and process of joining the ranks can help prospective candidates decide on a path they would like to pursue. What is the role of the financial controller? Communication: In addition to the complete knowledge of reporting practices and tax law needed by controllers, presenting reports and analysis to board members from nonfinancial backgrounds demands a grasp of communication and intrapersonal competency. PayScale noted that FCs must be able to perform complex calculations and then explain their work in comprehensible terms. Personnel: Team management and maintenance of high performance standards is a potential outlier among FC competencies, as it falls in the category of “soft skills.” According to Investopedia, successful controllers will be able to recruit other employees, as well as train them over time, and administer discipline when junior financial employees fail to uphold high standards. Thriving in this personnel side of the role is helpful in others, as an FC can delegate with confidence to a hand-picked team of employees with relevant skill sets. Regulatory complexity is a constant in the world of finance, and in today’s contentious and complicated business climate, companies need competent and reliable FCs to keep them on track. Corporate entities will be willing to expend significant payroll for controller salaries when they find qualified individuals. The average FC earns $80,329, according to PayScale data, with more experienced professionals able to improve their salaries over time. Controllers with 10-20 years of industry experience earn an average of $87,000. When considering next steps after serving as a financial controller, PayScale suggested a few possible options. Some FCs move on to CFO roles. Others combine CFO duties with vice presidential authority. Vice president of finance, chief executive officer, corporate president, and chief operating officers represent other possible moves for FCs who have performed their roles well enough to merit promotion. When organizations prepare to hire or promote a financial controller, leaders will search for individuals who combine experience and up-to-date financial knowledge with the ability to supervise personnel and perform error-free work that will keep companies compliant. Building such a diverse skill set requires a combination of service in related roles and a strong educational grounding. As Robert Half explained, many organizations are looking for candidates with a master’s-level education, while others will hire bachelor’s-level candidates who have seven or more years of experience. Learning to perform functions beyond the reporting-based and technical elements of financial work can help prepare candidates to interview for controller positions. Applicants who show they will be able to hire and train other employees for their departments, as well as oversee teams in specialized functions such as auditing, can differentiate themselves from competing candidates without such a broad knowledge base. Individuals who become controllers must put effort into constantly maintaining and improving the way they present data about financial conditions. When performing essential duties such as assessing risk or filing reports that comply with all relevant regulations, controllers must be aware of the latest developments affecting their industries. Ernst & Young’s overview of the role recommended FCs work closely with investor relations departments, especially because the knowledge of this side of finance will become essential for individuals who apply for CFO roles following their controller tenure. Becoming a better candidate for a specialized and demanding position such as FC involves many kinds of preparation, both in workplace settings and in formal higher education. 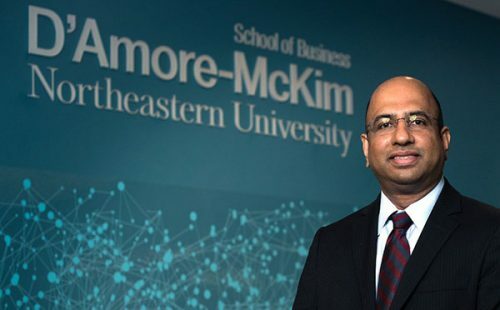 Studying for a Master of Science in Finance (MSF) at the D’Amore-McKim School of Business is one way to gain up-to-date insights. The Online MSF program includes two tracks that let students specialize: Corporate Finance or Investment Finance. The Corporate Finance track contains many competencies and concepts relevant to FC work, such as budgeting and risk management. Courses such as “Financial Strategy” directly impart the kinds of skills needed to thrive as an FC. This class is designed to help with the communication side of a high-level financial role, combined with multi-layered analysis. Individuals must be able to make accurate judgments about the ideal future financial direction of their organizations and convey those ideas to others. Strategy classes teach these concepts. Furthermore, the Finance Seminar course is designed to give students one of the most essential pieces of a controller’s body of experience. By getting an inside view of current, leading research, professionals can gain an understanding of the forces shaping markets and conditions. is a way to gain this current and relevant knowledge on a schedule that makes sense, while you continue to work. The courses impart information that will be useful and relevant in high-level financial roles such as FC. Visit the Online MSF program page to learn more about admission requirements and the online curriculum.